I'm not a fan of fixed track having last used sectional track when a teenager. I did hand lay one layout, Pine Point Mill, the rest are with PECO or Shinohara flex track. I do chop up turnouts and bend them to my requirements, having been known to straighten curved turnouts and bend straight ones! I didn't mean to say it was wrong to use set track, what ever works for you. 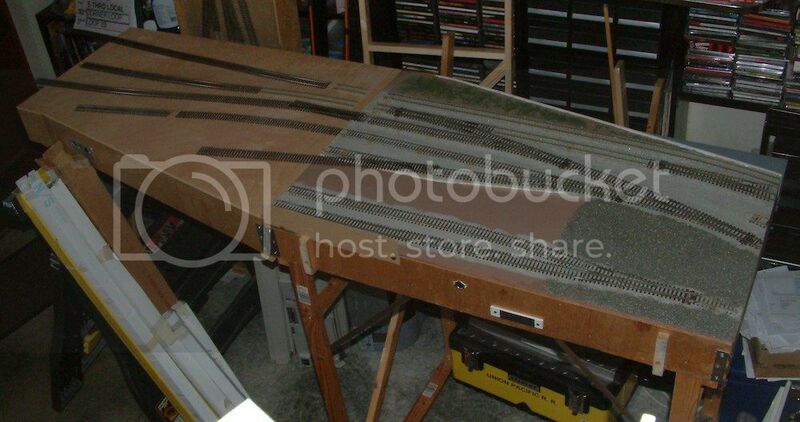 Here is the board I'm working on at the moment, before the trackbed and track went in. I use the flex track to help draw in centre lines for the track.